Want to try Battlefield Hardline before it’s release? 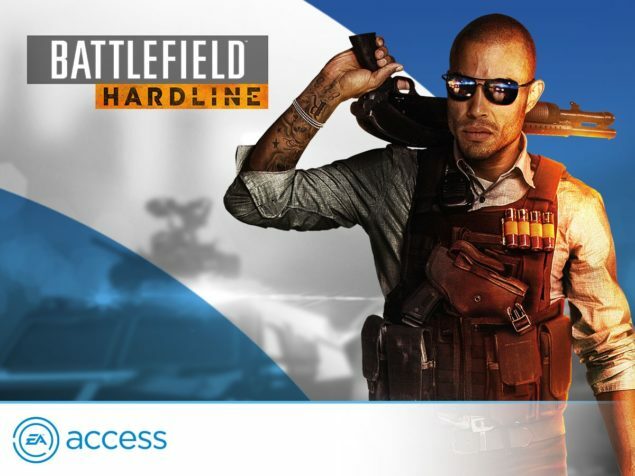 Well if you are an EA Access member on the Xbox One you will be able to get your hands on Battlefield Hardline up to a week in advance of its release EA announced today. From the 12th of March until it’s release on the 17th/19th(North America/Europe), you will be able to play Hardline as a “trial”. Multiplayer will be completely unlocked and all progress made during this trial-period will transfer over to the release version. You will also be able to play Singleplayer but here you will only have access to the prologue, but your progress will transfer over from Singleplayer as well. Members will be the first to jump into the fastest Battlefield ever for a full 10 hours, playing both single-player and multiplayer before the game is released. The trial contains all the multiplayer maps and game modes, giving you first dibs on tons of content never before available to gamers. You’ll also get first crack on the gritty story, experiencing the prologue and first chapter of the thrilling crime drama in Battlefield Hardline crafted by the Visceral team. But as mentioned, the catch is that you only get to play the game for 10 hours Total during that entire trial. Meaning that those 10 hours will probably vanish rather quickly since the weekend is just around the corner after the 12h of March. This is pretty much identical to what EA did with EA Access for Dragon Age Inquisition, where they released it 5 days ahead of its Launch but with a 6 hour limit. EA Access is a subscription based program that will cost you 4.99$ a month or 29.99$ a year. Apart from sometimes being able to try upcoming EA titles before they are released, subscribers will always have a 10 percent discount on any and all EA made or published game, if it’s a digital purchase from the Xbox Store. As well as getting access to “The Vault” which is a games library which currently holds titles like Battlefield 4, and here you can download and play them for “free” (The monthly cost of EA Access covers this). EA Access members get more than just trials. You also get The Vault. This is an evolving collection of the best EA games for Xbox One, including Battlefield 4™, EA SPORTS™ UFC®, Plants vs. Zombies™ Garden Warfare, and more. But don’t stop there, you get an exclusive discount on all EA digital purchases on Xbox One. I don’t know about you guys, but I don’t really like the whole trial thing. If anything they should go all out and release the game in full, earlier for EA Access members but I’m guessing there are legal reasons or the likes hindering them from doing so, and every other platform would probably have some opinions about that as well.